Economic strategy developed by Trevor Chan, creator of the Seven Kingdoms series. 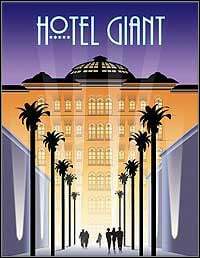 The player becomes a young entrepreneur whose aim is to create the best chain of exclusive hotels. Now Players can prove their managerial and planning skills within the hotel industry. Keep paying guests happy, and success will be the reward! From a small, family-owned bed-and-breakfast to large, secluded mega-hotels catering to the rich and famous: Hotels come in all shapes and styles. Be at the forefront of the tourism industry: Own and manage your own hotel! Starting out small with a small hotel for business travelers, players are challenged to build a successful business, overcoming all obstacles that the world of business management can throw at them. With over 26 different hotel complexes to choose from, you can create a tailor-made hotel that exactly meets your dreams... and the needs of your virtual guests as well. - With the opportunity to place the hotel in virtually any location and with total control over the look and atmosphere of your foyer, guest rooms and all the other components that go into making a top hotel, success or failure is only a holiday-season away. - Live the dream of your own Hotel! Game score 6.48 / 10 calculated out of 621 players' votes.